Modheshwari Engineering and Fabrication founded in 2005 by Mr. Bhikhabhai Patel, who has an extensive experience in the field. 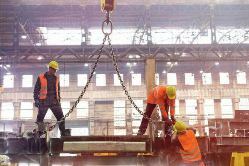 We are the leading manufacturer of various equipments that are useful in the handling of heavy equipments and materials like HOT Crane, Gantry Crane, Trolley Crane and JIB Cranes, hoist and goods lift. 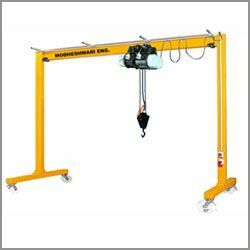 The JIB cranes we offer are useful in various industries that deal with heavy goods and need to work with different sorts of machineries. 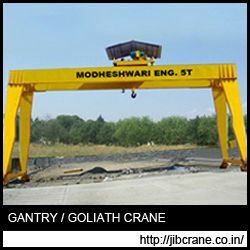 We offer a wide range of cranes that vary in the load lifting capacity depending on the requirement of the client. The excellent workforce and superior leaders manage Modheshwari Engineering. 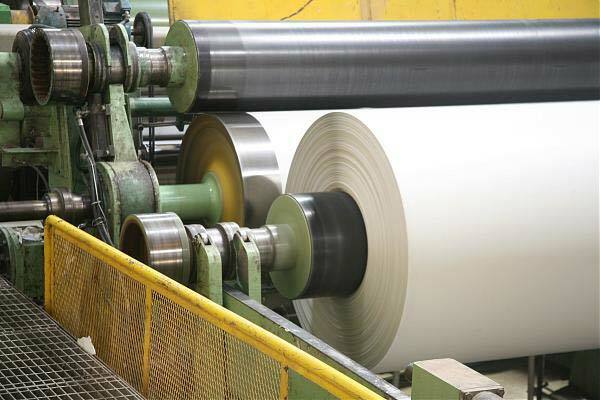 We are continuously engaged in manufacturing a wide range of products prepared from the best materials and technology. Our workforce has great experience in the field of making large scale of JIB cranes having excellent durability and performance. Each of the cranes are made with ultimate care and precise measurement and specifications. They are made in accordance to the industry standards to suit the needs of the domestic and international market. We are famous in the worldwide for providing the widest range of cranes and load lifting equipments. 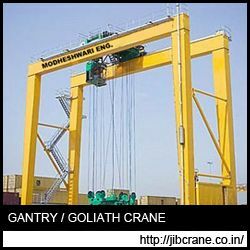 Jib Cranes manufacturer are considered an important machine to that helps in lifting the heavy equipments and load. 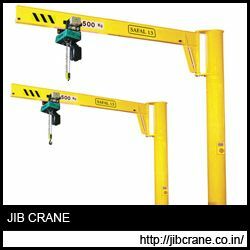 The JIB crane is a type of crane having a horizontal beam that supports the hoist and is mounted on the floor or on the wall. 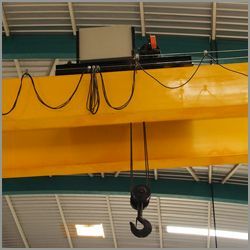 The beam of JIB crane can move vertically and can even move in an arc. This makes them a preferable choice in various industries that need to shift load from one place to another in a straight or in an arc. 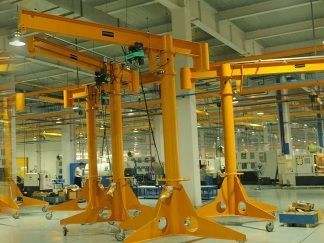 The JIB cranes come in various models like free standing JIB cranes, wall mounted JIB crane and Metreel Jib crane. These cranes vary in the weight lifting capacity depending on the application area. Span: The length of the beam from the midpoint of the wall bracket to the end of the beam. Working span: The working span is the area in which the hoist can act and perform the operation. Capacity: The maximum weight lifting capacity of the crane including the hoist weight and trolley weight and the impact load. Underboom height: Distance of beam to the floor. 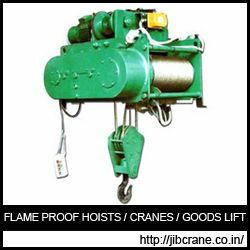 We offer a wide assortment of the Jib cranes varying in the weight lifting capacity. 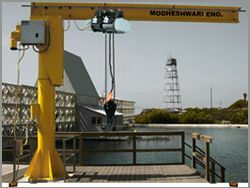 Our Jib crane helps in reducing the labour cost and also helps in saving the time for displacing the heavy objects. 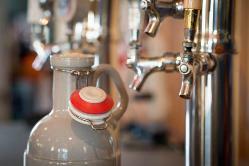 The cranes are easy to handle and are highly cost effective. The lifting capacity of the Jib crane can be extended up to 3 tons and the span of the cranes can be at max up to 6 meters. 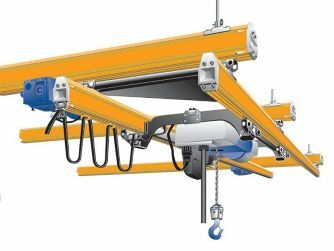 The wall mounted crane and full cantilever crane can rotate to 180° while self supported can rotate in complete 360° providing moving the load in all directions. Each model is made as per the standard specifications set by the industries and are even modified on the request of the client to completely suit their application area and location where the crane is to be installed.